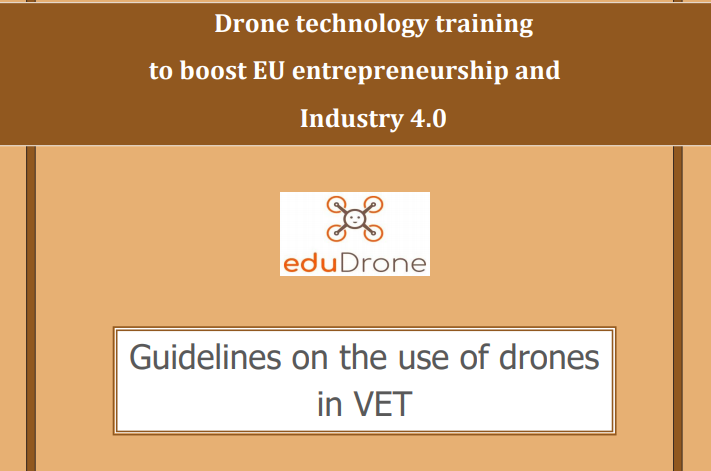 This intellectual output is a brochure containing guidelines on the use of Drone Technology in Vocational Education and Training (VET), providing essential information for VET trainers and institutions who want to incorporate Drone Technology into their curriculum. 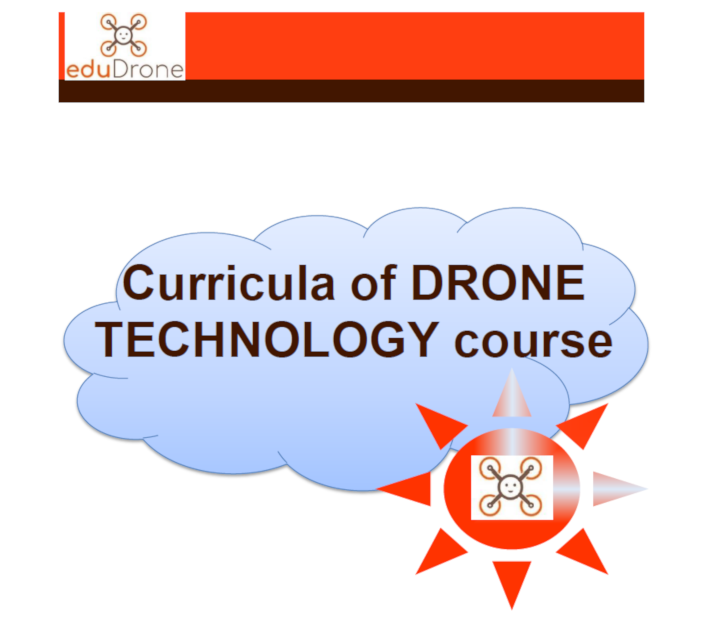 It includes guidelines and case studies and covers important topics like technology, legislation, applications, etc. 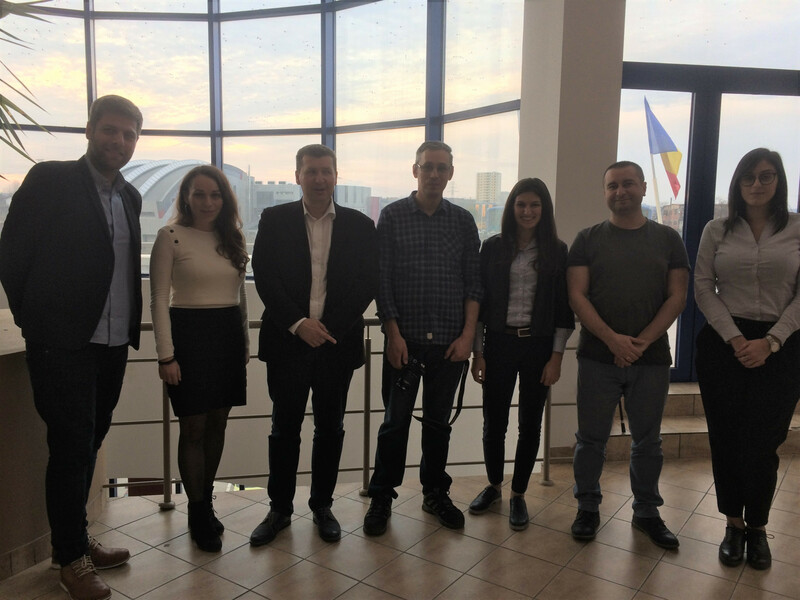 The document will be also translated in the partners’ national language (Romanian, Polish, Greek and Italian). 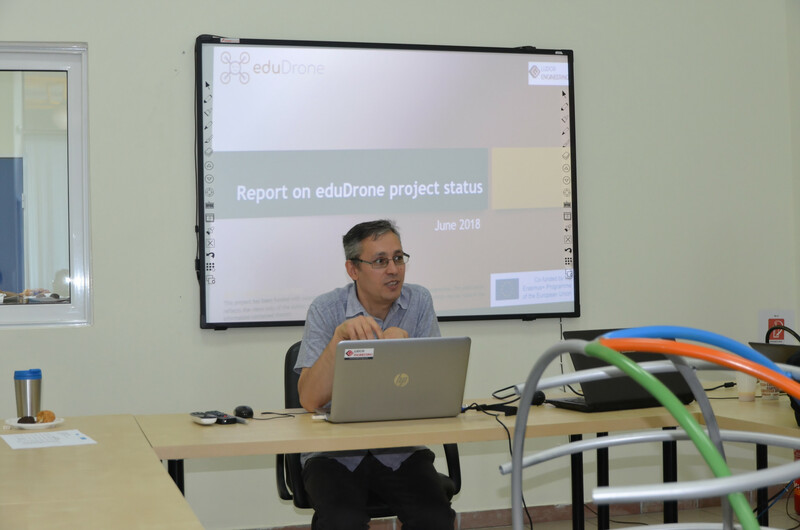 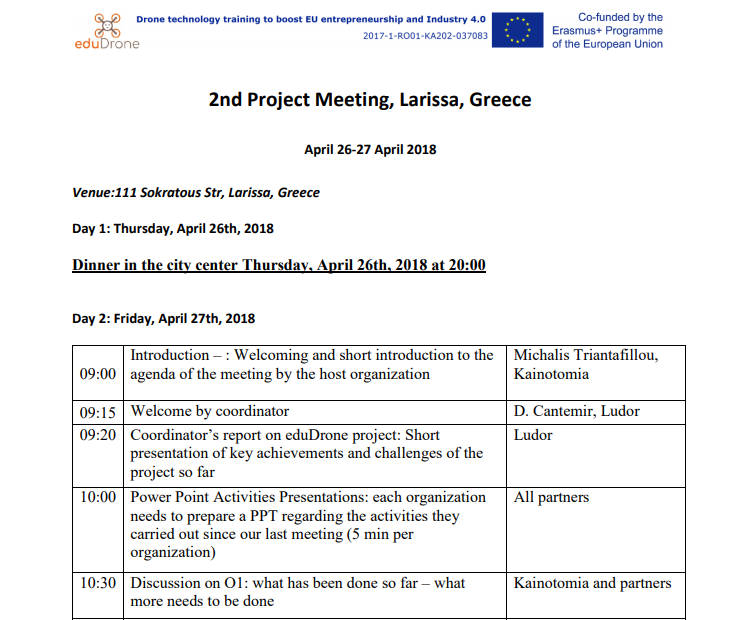 Follow our Facebook page facebook.com/eduDrone.EU to be updated on the project.